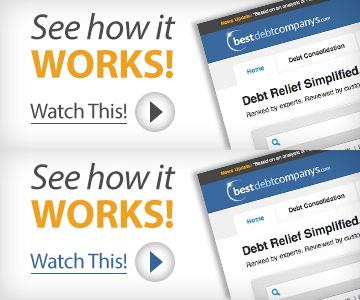 Christian Credit Counselors has provided debt consolidation services since 1990. The company focuses on Christian principles to help people eliminate debt. May take longer: Many debt consolidation companies say programs take two to three years to complete, when in reality, in the debt consolidation industry, the average is about three to four years. CCC indicates that it can take up to five years with their program. Free consultation: Christian Credit Counselors (CCC) provides a free consultation to those looking for more information, and will put together a budget and debt analysis based on your current debt, income, and lifestyle. Lack of transparency: CCC is not transparent regarding fees, interest rates, or upfront costs. Long tenure in the industry: Christian Credit Counselors is one of the oldest companies in the debt consolidation industry, having been operating for over 28 years. Lack of accreditations: CCC does not appear to have any of the accreditations standards in the debt consolidation industry, despite being a major company in the industry for over 28 years. Our recommendation: Due to their lack of transparency and accreditations, we recommend another company for debt consolidation and counseling services such as Consolidated Credit.